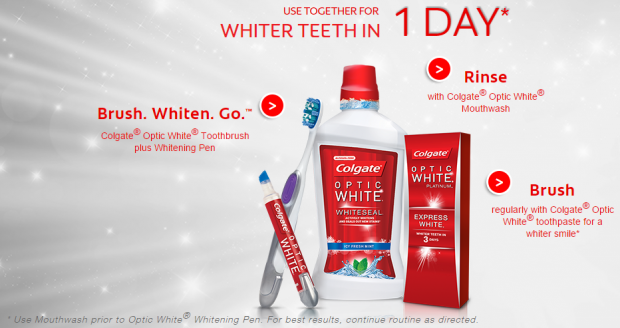 Colgate® Optic White® For Whiter Teeth In Just One Day! 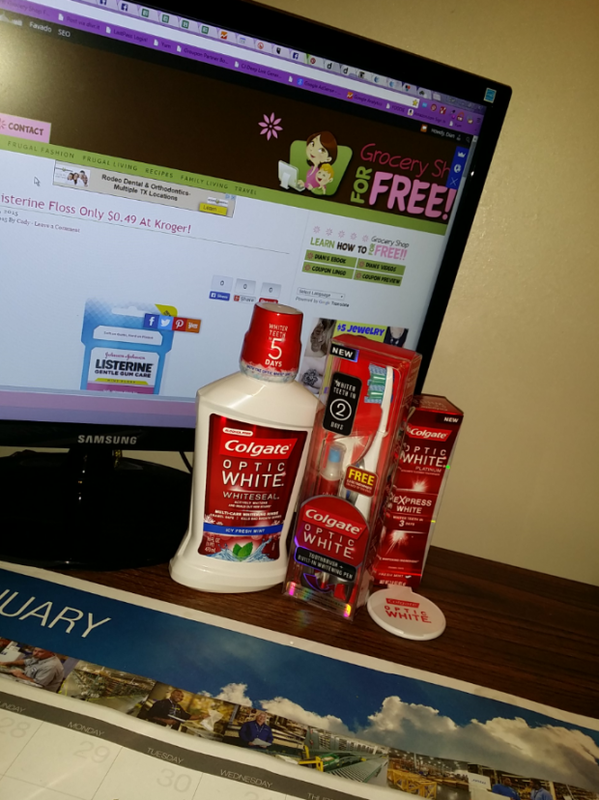 You are here: Home / Sponsored / Colgate® Optic White® For Whiter Teeth In Just One Day! I really thought it was handy and clever that the whitening pen stores IN the toothbrush! I also loved the fact that the pen was easy to use and quick. No waiting period to rinse it off or trays or anything to apply it. You just use the pen and apply it and go, you’re done. I have used other whitening products where you have to put the gel in the trays and wear the trays for 30 minutes to an hour or more a day and it was a real headache in more ways than one! After I used those trays and gel my teeth were so sensitive I had to start using a sensitivity toothpaste. I finally had to quit using the trays, the process just really hurt. The Optic White Whitening Pen doesn’t make my teeth hurt, at all! Brush as you normally would with your regular toothpaste. The Colgate® Optic White® toothbrush is specially designed with polishing bristles and stain removers to help remove surface stains.